Your mom has everything. Like, really. It’s impossible to think of another gift that you could possibly get for this wonderful woman in your life. Unless… have you thought about getting something personalized? There are so many options out there for customizable gifts. It can be overwhelming to think of all the possibilities! 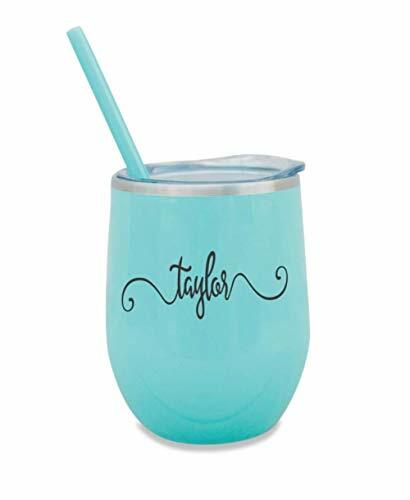 But if you stop to think about her interests, her hobbies, her likes, and dislikes, and then you consult this extensive list, you’re bound to come up with the perfect personalized gifts for mom. And if you don’t want to buy mom a gift, try these Momdot options for custom homemade gifts! 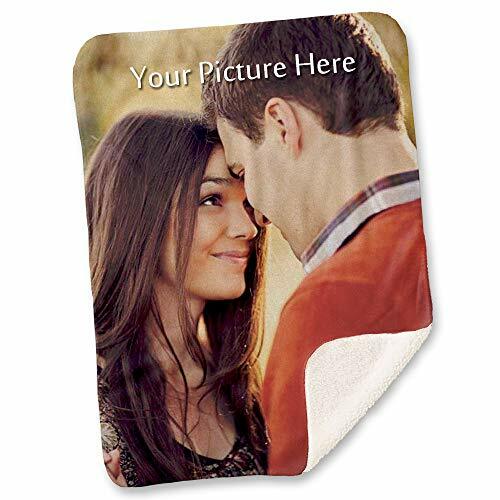 Since the mat is the first part of your home that people will see, make it a statement piece! 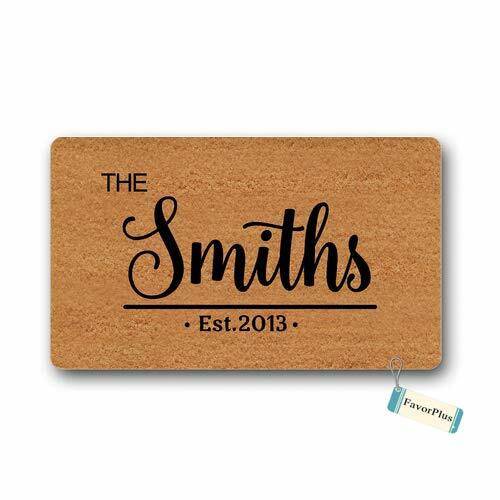 Doormats are frequently and easily customizable, so ordering one of these beauties for mom should be quick and easy. She’ll love how the personalization classes up the entryway! How pretty is this faux-clapboard print? Whether you decide to use mom’s first name, last name, or family title (Great Aunt Awesomesauce, perhaps? ), it’s a great complement to any home. These mats can be used either inside or outside, so mom can choose whether she’d like to spruce up the front porch or the indoor entryway. 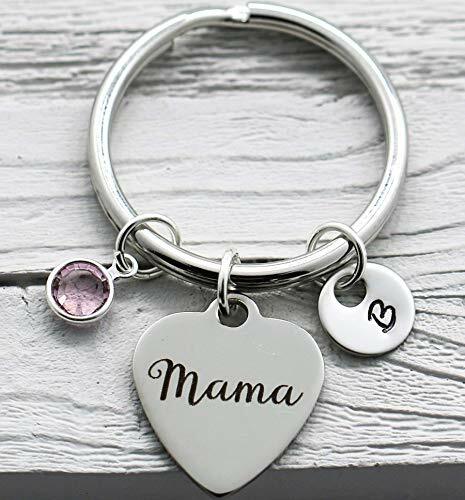 This company offers several different designs to choose from, which allows you to choose the most perfect option for mom. 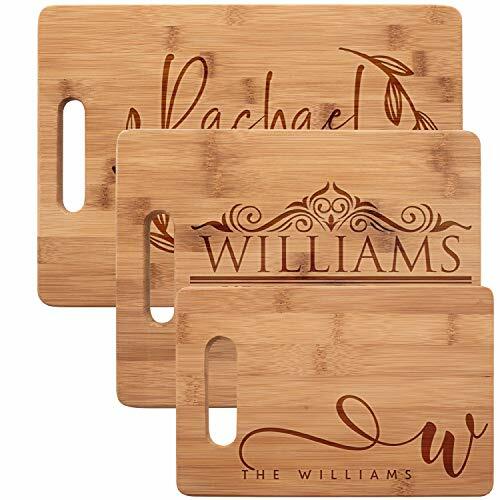 Whether you think she’d like her first name featured, or the family name, or maybe two family names, these personalized boards are all gorgeous. 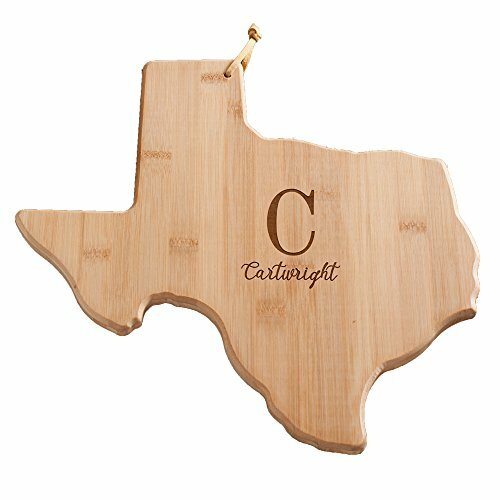 A cutting board shaped like mom’s home state! What a sweet gift idea! It’s hand washable, so she’ll be able to cook all of her favorite meals (and yours too, if you’re lucky) on an easy-clean surface that reminds her of home. Give your soccer mom the recognition she deserves! And give some credit to the star of the field, of course. 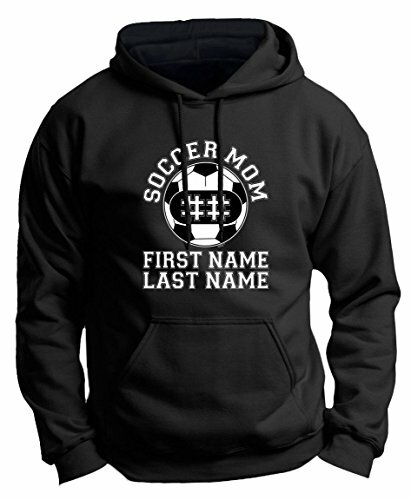 The sweatshirt features mom’s little soccer player’s name and number, while also recognizing her for the sideline superstar that she is. 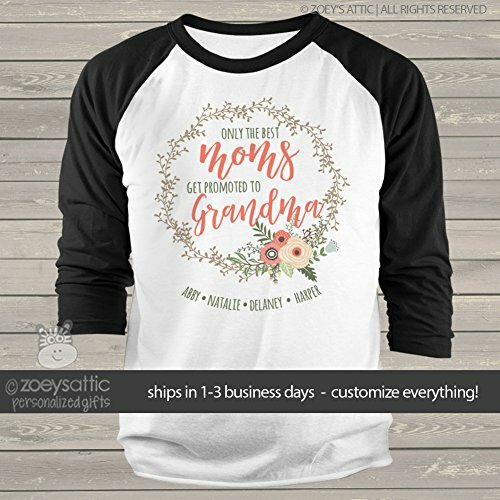 For the mom in your life who’s also a grandma, give her this sweet shirt with its pretty script and flowers, complemented by all the names of her little loved ones. It can even be customized, so if she prefers to go by “MeeMaw,” so be it! Is your mom close at heart but lives a bit further than just down the street? 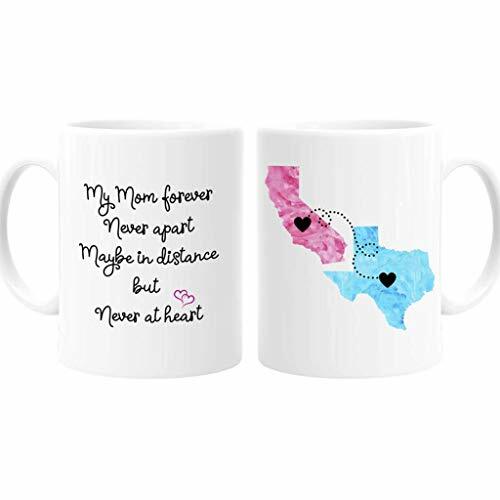 This sweet coffee mug features a lovely sentiment and pictures the states of both the giver and the receiver. It can even be personalized to feature the different provinces or countries where you live. It’s perfect! Is there anything more awe-inspiring than a dabbing unicorn? We think not. 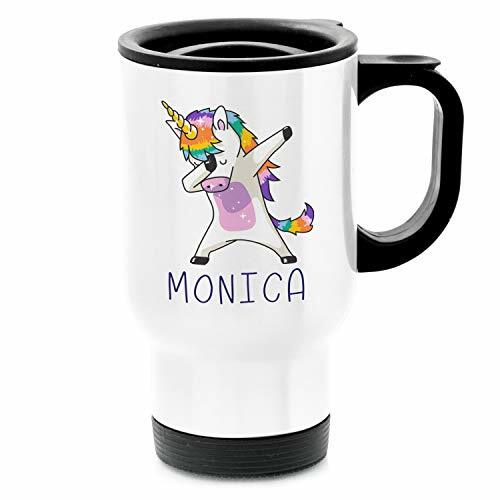 Although this particular item can be customized with just about any picture or logo, we think mom will appreciate the unicorn. You can’t go wrong. Your mom loves to wrap her arms around you and hug you when you’re nearby, so print a photo of yourself (and/or other loved ones!) onto this super soft blanket and she can hug you all the time! We recommend using your baby photo for the extra “Awwww” factor. 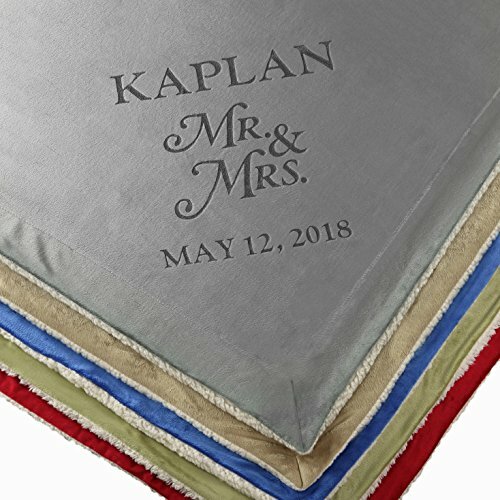 Mom’s wedding day was one of the most memorable days of her life, and memorializing it with a luxurious throw blanket is all but guaranteed to bring her joy. There is a range of rich, bold colors to choose from too, so there’s no need to mismatch with her décor! For the mom on the go (which is most of them, let’s be honest! 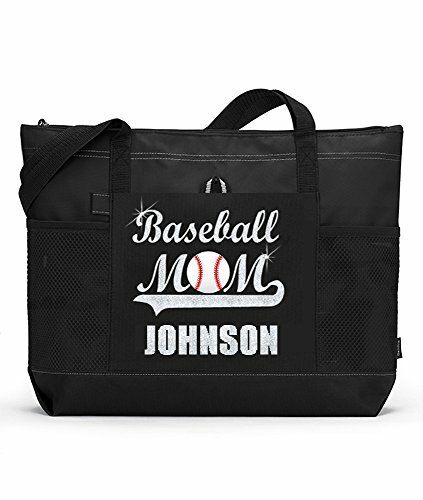 ), get her this cute tote bag that announces her important Baseball Mom status to all who see her! It’s also available with some glitter, so it suits every taste. The mom in your life is a classy lady and she deserves a functional bag that is as elegant as she is. Voila! This bag is perfect for every woman who has a lot of stuff to lug around but yearns to look more put-together than she feels! Is there anything more precious than the bond between mother and child? 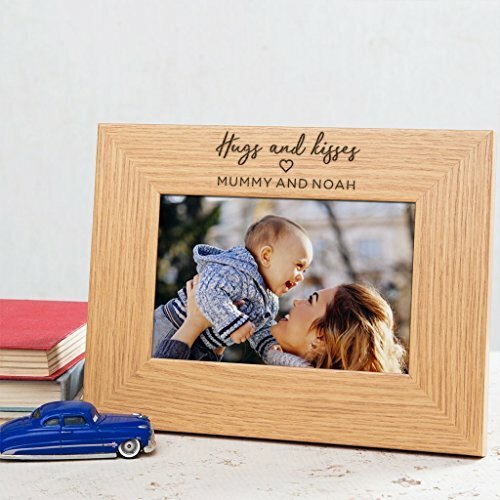 This sweet photo frame can be personalized with the name of mom’s favorite boy and will always remind her of her beautiful baby. 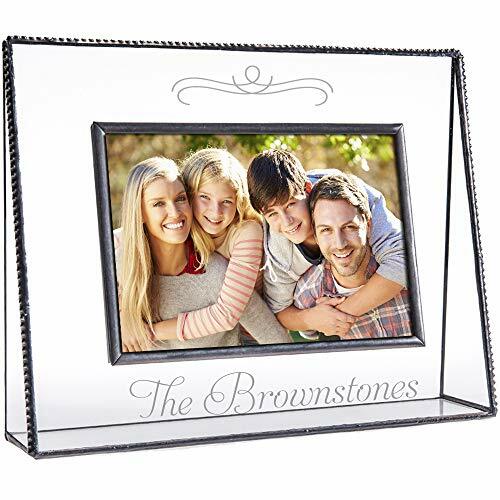 When the family photos are simply too perfect to NOT frame, give mom this stylish glass frame. With its triangular glass sides and base, and the family name in a beautiful script at the bottom, Mom will love this elegant keepsake. Shopping for your boyfriend’s mom? There are some great photo-related options included in this Momdot list, including a gorgeous personalized serving tray! Sometimes mama needs a little vino, and she should have something pretty to drink it with! 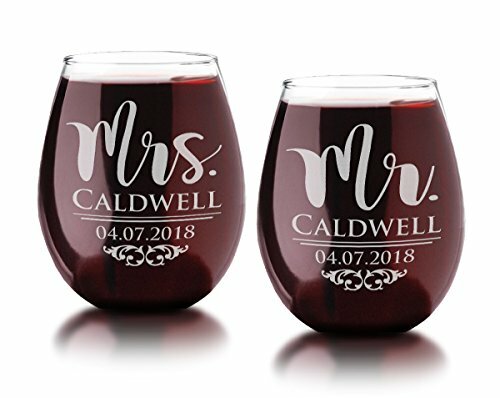 These gorgeous stemless glasses can be personalized with mom and dad’s name and wedding date, creating a beautiful and functional memento. How pretty is this stainless steel tumbler? It makes a lovely and convenient gift for a mom spends time by the pool. Imagine her on an all-inclusive vacation and toting this gem with her! So fun! 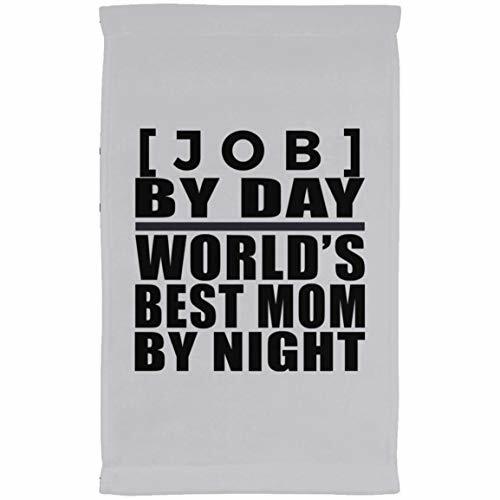 For the mom who spends a lot of time in the kitchen, this flour sack tea towel with its delicate design and text makes a great gift. It’s both useful and decorative, good for everyday use or just to hang and look pretty. Your mom is the best nurse on the planet. She’s the most amazing executive on the planet. She’s the teacher of the year, of the decade, of the century even! This chuckle-worthy tea towel will give her the recognition she deserves! Your mom and her green thumb could use a few new accessories in the garden! 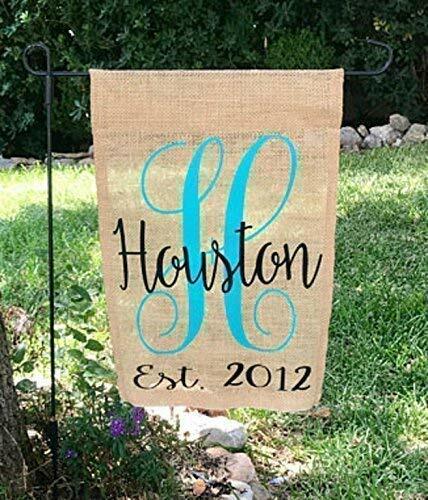 This monogrammed burlap flag can be customized with mom’s favorite color to make it a perfect addition to her outdoor space. 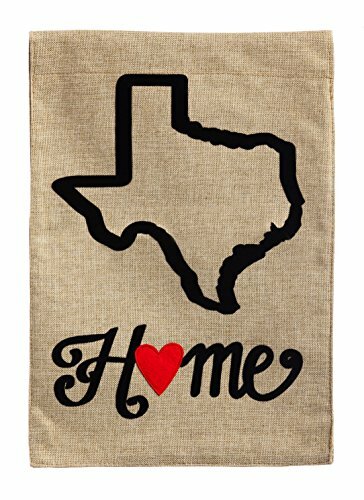 Remind mom of her beloved home state with this sweet customized flag. Whether she’s from Texas, North Carolina, Tennessee or elsewhere, this little garden accessory will remind her of the home – and the person – she loves. That’s you, by the way. Mom uses her keys multiple times every day, so how about giving her a personalized keychain that will remind her of her loved ones each time she uses them? With a monogrammed charm and a birthstone to accompany it, mom will love its simple elegance. 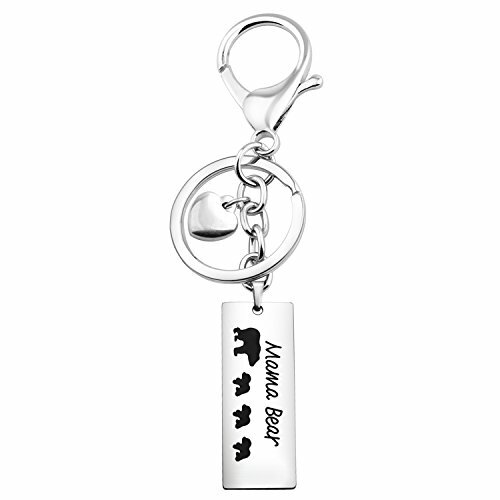 As soon as she sees this keychain, she’ll say “Awww!” The mama bear in your life will love his adorable, personalized reminder of all her young’uns. It’s lead and nickel free too, so even moms with sensitive skins can love holding this gift. Your mom is as glamorous as they come, and her makeup bag should reflect that. 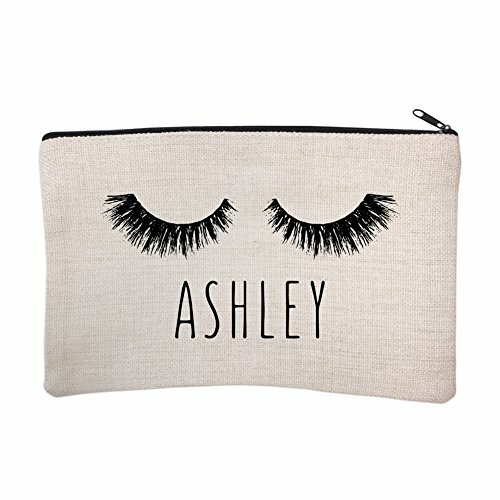 The luscious lashes pictured on this bag are a perfect complement to mom’s majestic name, so stuff some lip gloss in here and give it to her already! 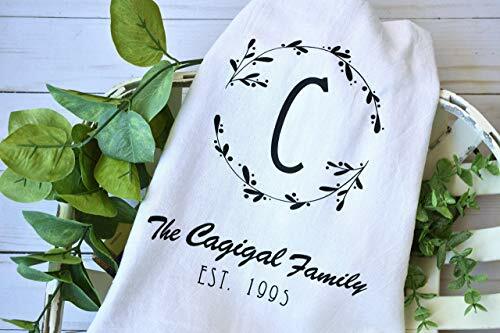 Available with personalized name, initials, or monogram, these strong, quilted bags have lots of space and are easily cleaned with a quick wipe down. Stylish and easy to clean? Mom and her makeup collection will love it. 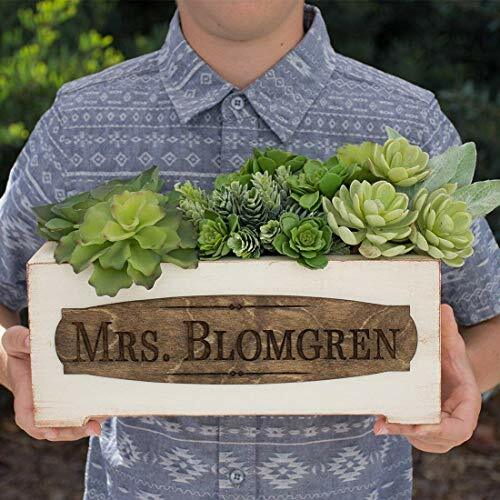 This lovely planter is rustic-looking, sturdy planter features a wooden plaque that’s just waiting to have mom’s name engraved upon it. Now if only it came pre-arranged with cute little succulents, it might be the easiest gift idea of all time. Ships Within 2-3 Business Days All Year. Mom needs this planter for her cottage! 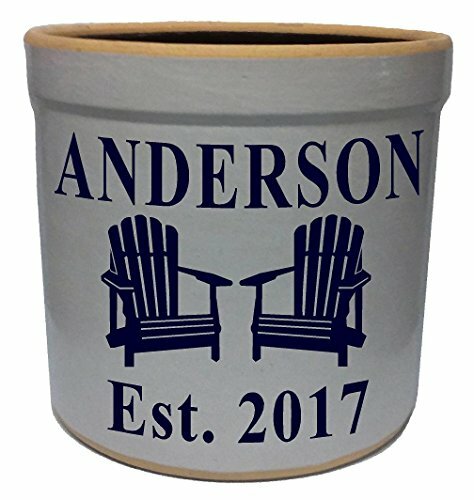 No matter which design you choose – the Adirondack chairs, a symbolic pineapple, or even an old-style American flag – having mom’s name and anniversary year etched into this beautiful pot will make it a gift she’ll treasure. 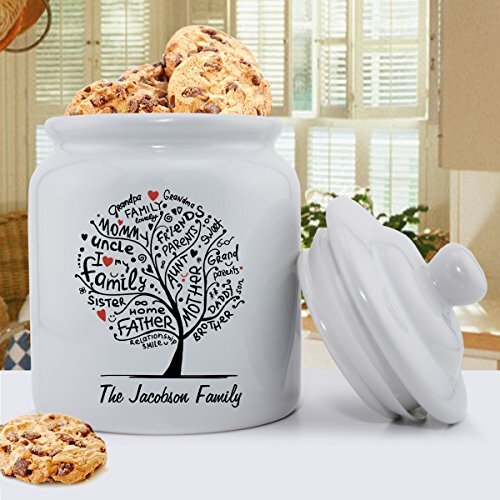 It doesn’t matter whether your mom is an expert baker or an expert pre-made goodies picker-upper, she will love this personalized cookie jar! The family tree is just beautiful, and the jar has a rubber seal for ensured freshness. And its dishwasher safe! Oh yeah! 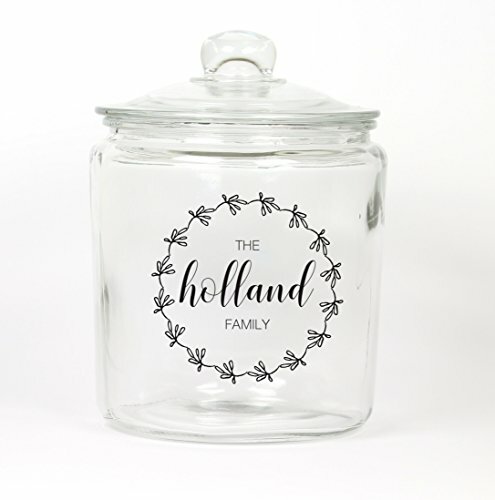 With twenty color options to choose from, this glass cookie jar can be personalized to match any color décor mom might have in her kitchen. Add the family name along with your own homemade cookies (she’ll love that!) and you’ll totally win for the cutest gift idea! 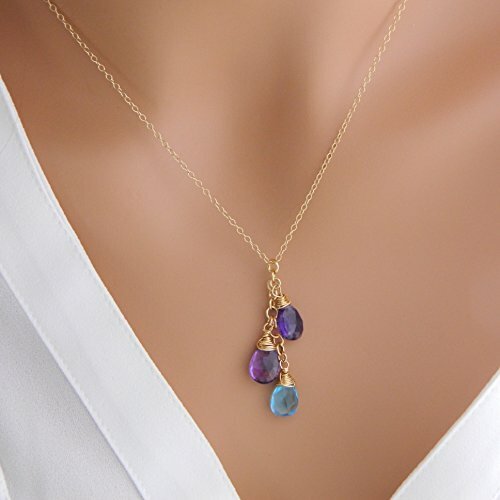 Have you ever seen such a sweet, delicate piece of birthstone jewelry? This is a perfect way to be rewarded with a peppering of mom kisses, so don’t give it to her in public unless you’re prepared for this! 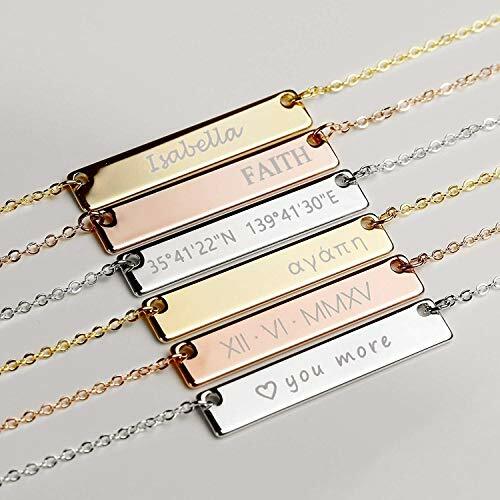 These sweet bracelets are available as silver-plated, gold-plated, and rose gold-plated and can be personalized with mom’s first name, last name, child’s name, a specific date, or even a short message. So many options, but it will elicit only one emotion from mom: love. 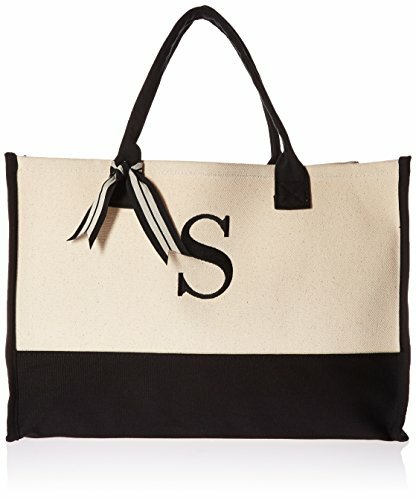 With beautiful options like the gifts listed above, choosing personalized gifts for mom should be a cinch. Once you decide on the gift, you’ll probably find it’s harder to choose whether to use wrapping paper or a gift bag than it was to choose the gift itself. Decisions, decisions!